It’s been a while since I was so excited to see a new year start than I am about 2019. Let’s face it, 2018 was one roller coaster ride of a year. I didn’t hit any of my fitness goals for the year…none of them. My blog posting was next to nothing in 2018 as well. I wrote a grand total of 16 blog posts for the entire year. However, it totally reflects how the year worked itself out. Most of my blog posts came before the month of May. After that, my blog posting (and fitness goals) went out the window. My boy had turned 2 in March 2018 and we learned what the “terrible two’s” are all about. To top that off, I moved from a cubicle into an office and saw how much more stressful it is to be a paralegal vs. a coordinator. Church attendance bottomed out and, in the fall, my family went into this vicious cycle of illness. Even with all the negatives, I still got to do some really cool stuff. My highlight for 2018 was singing in Mickey’s 90th Spectacular. Back in September, I completed the first race in the Triple 5K Tour of LA by finishing the Santa Monica Classic 5K. I haven’t had time to write about the race. But, it was super fun. 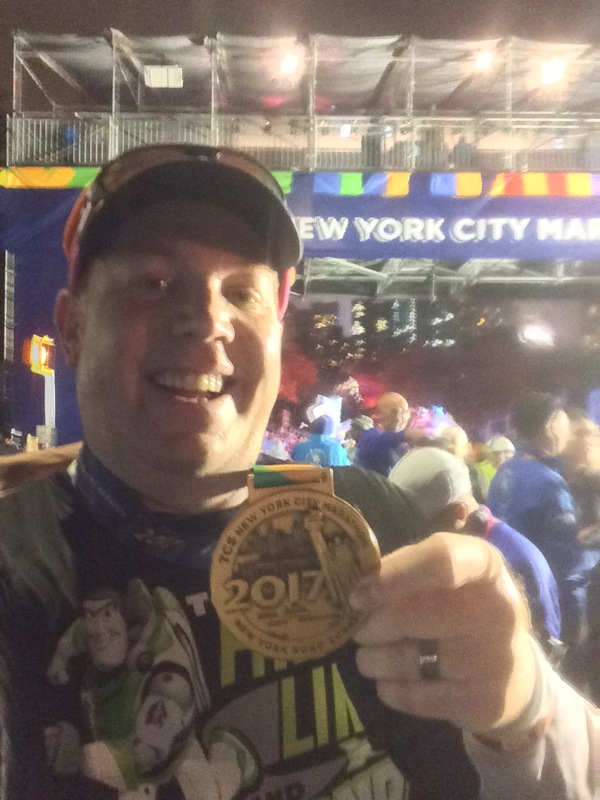 In June 2018, I ran the first of 3 runDisney Virtual 5K’s around the Rose Bowl Loop. I had hoped that doing these virtual races would jump start my running again. I had the same hope in July as I ran “the strand” in Redondo Beach…. and this Jeff Galloway “Magic Mile” run at the track in November. However, since then, it’s been nothing. So, in 2018, I had made the goals of loosing 50lbs, running a 5K without stopping, and setting a new 5K PR. If I had accomplished all of that before the end of the year, I would pursue running a 10K without stopping, and setting a new 10K PR. I got on a couch to 5K program which I started and failed to finish 3 times in 2018. What did I learn from all of that? I need to loose weight before I can realistically consider running a 5K without any walk breaks. This year, my only fitness goal is to lose 50 lbs. by the end of the year. That’s it. Another thing I learned in 2018 is that having gated goals is a good thing. My problem is that it took me until that failed 3rd attempt at a couch to 5K program to realize my first gate to get through is weight loss. On each of the three attempts to run a 5K without walk breaks, I stalled out at intervals that had me running 2 – 3 minutes. I’m a big guy. Loosing weight will help me get beyond that. In 2018, I only ran in 2 organized races. That didn’t work well for me. I need to have these races on the calendar to keep me going. So, I’ve already got three 5K races on the calendar already for 2019. (As soon as the Angels Baseball Foundation 5K sets a date, I’ll do that one as well). In 2018, I learned that I need to have races on the calendar. Since my only fitness goal is to loose weight, my races will become fun things to do along the way. I will pick out a few 5K’s to race for time and others just to have fun with. The goal will be to have a faster finish time at the end of the year from my first 5K (in Pasadena). With runDisney still on “hiatus,” the race I’m most looking forward to (so far) is the first ever Running Universal race at Universal Studios Hollywood on May 11th! The Minions are going to be involved with this race! Not only that, but my favorite race announcer Rudy Novotny will be the race MC! If runDisney doesn’t return west, I’m hoping this Running Universal thing takes over. While weight loss is my only fitness goal for 2019, I am still in pursuit of better life balance. First up on that is to read through the New Testament in 2019. I know that some folks will attempt to read the entire Bible in a year. I’ve done that a few times. Since I’ve been a horrible reader these past few years, having a goal of the entire New Testament is daunting enough. Plus, if this isn’t challenging, I can always add other reading to this goal. Lastly, I want to become a better dad and husband to these guys. I took the last week and a half off from work because the boy’s daycare was closed and my wife had the time off as well. We had a wonderful end to the year together and I look forward to many other things that we will be experiencing in 2019!